If you are looking forward to installing a Mac-cleaning application, there is no shortage of available options. Whether you are searching for a quick solution to boost your Mac’s speed or looking for an affordable way of keeping your computer agile for years to come, cleaning applications tick the right boxes. But not all apps are born the same. Disk Clean Pro is another application in the league. Let’s see how it fared. 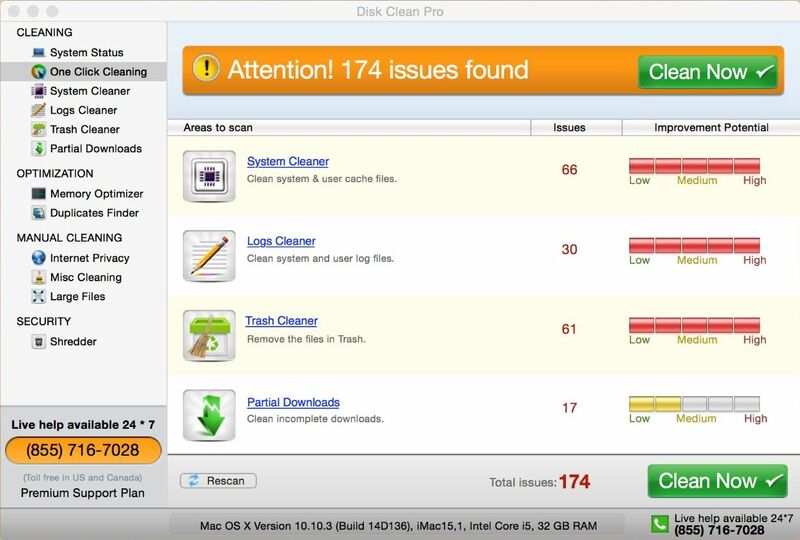 Cleaning applications are usually easy to use, and Disk Clean Pro is no different. One Click Cleaning resolves all issues related to junk files with a click. The modules and their utilities are nicely aligned in the sidebar. Nearly every utility comes with an action button, and thus makes it extremely easy for the users to utilize them. The layout is intuitive, and we faced zero issues in using the app. Such applications vary greatly regarding built-in utilities. Some are free and include the bare-minimum and prompt users to upgrade to their pro versions for additional features while some are paid and users can avail full functionality from the word go. Disk Clean Pro belongs to the latter category. There are total four modules namely Cleaning, Optimization, Manual Cleaning, and Security. The cleaning module of this Mac Disk Cleaner shows system status and the number of issues found. These issues are the junk files that Mac accumulates over the time. With a click on ‘Clean Now’ button, you can get your system rid of all cache, logs, and other unwanted files. ‘Duplicate Finder’ removes duplicate music, video, pictures, and doc files. It helped my system shrug off duplicate files occupying 146.6 MB of space. There is a Memory Optimizer that tells a user about available memory in their Mac and the apps taking a significant share of the RAM. Using the Memory Optimizer one can always free up some memory if the computer starts lagging. A click on ‘Start Optimization’ will kill useless applications and services loaded up on RAM. However, I didn’t feel any difference before and after using the memory optimization. The reason is simple: my mac has 32 GB RAM. This feature will come handy if your Mac often finds itself in tight-spot owing to the low available physical memory. There are a number of other features such as Internet Privacy, Misc Cleaning, Large Files, and Shredder. Internet Privacy allows you to delete cookies, cache, history, etc. simultaneously from all browsers that you use. Misc Cleaning removes old downloads and iTunes Device Backups. Large Files is an extremely useful utility that scouts large files that are occupying a significant chunk of space in your Mac. You can select multiple unneeded files and delete them by clicking on ‘Clean Now’ button to clean mac disk space. Do you have any confidential file that you no longer want to keep in your Mac? Just drag and drop the files in Shredder, and it will remove the files completely from the system so that no recovery tool can get the file back. 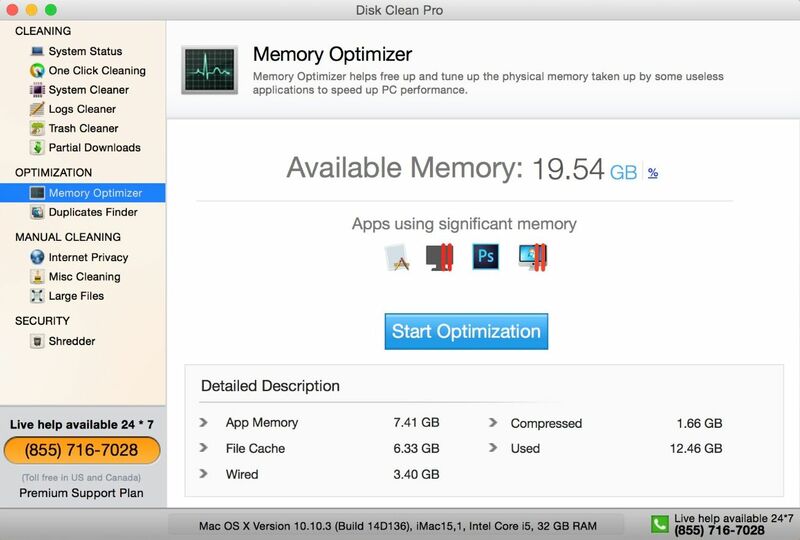 Overall, Disk Clean Pro gives bang for your every buck. It has got all those features that you get from its costlier counterparts. Using the app is a cakewalk. Disk Clean Pro covers all the basics plus a few added features such as Duplicate Finder that make the task of organizing and freeing up space easier. 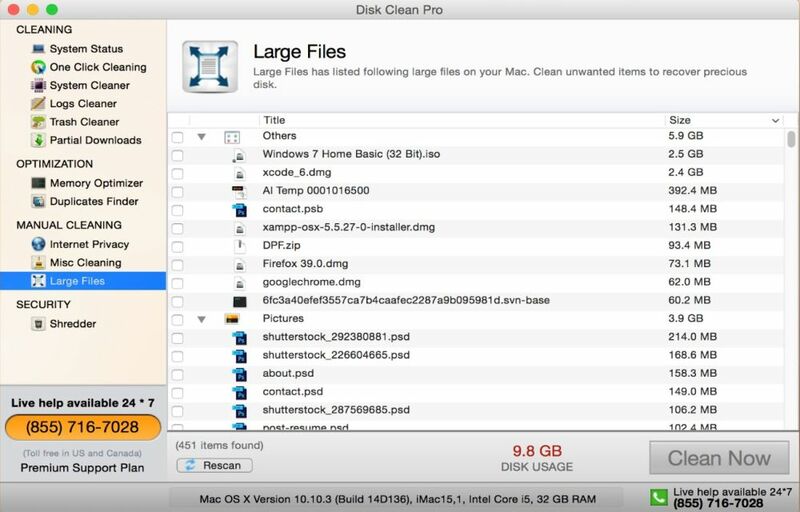 Download Disk Clean Pro from Mac App Store.